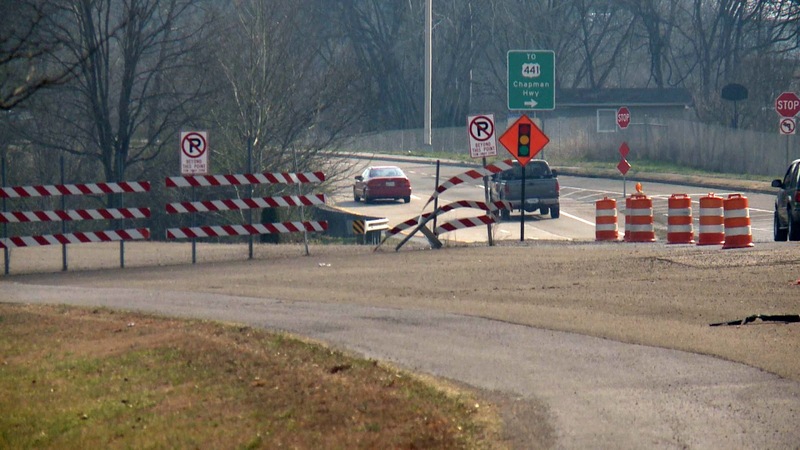 Almost three years after local leaders effectively killed a state proposal to extend the James White Parkway in South Knoxville, the matter is again stirring debate with city officials and transportation authorities about whether to resurrect the plan. 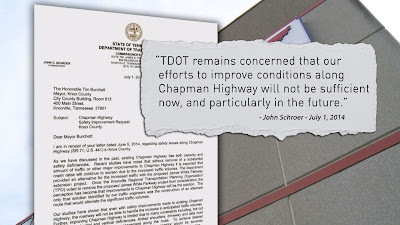 Earlier this week, Tennessee Department of Transportation Commissioner John Schroer told East Tennessee leaders that the state wants to make nearby Chapman Highway safer, but to do so would mean revisiting proposed work on the parkway. The initially proposed extension would stretch the four-lane bypass to Governor John Sevier Highway and cost up to $140 million. State officials say that is still the best option to make Chapman Highway safer. The letter said that improving the popular thoroughfare is limited because of its natural design, and to do so would cost as much as $60 million. He called the highway a “challenging roadway” because of multiple changes in elevations, limitations in visibility and heavy traffic. “There are things we can do on Chapman Highway but there is only so much we can do,” he said. City officials, however, are adamant that the state’s solution is no good and would tear through the South Knoxville Urban Wilderness, the crown jewel of South Knoxville. City officials also noted that traffic hasn’t necessarily increased on Chapman Highway during the past 15 years. In fact, it’s actually decreased, according to TDOT records. In 2000, some 32,730 vehicles traveled long Chapman between Moody Avenue and Stone Road, the stretch that James White Parkway travelers would bypass if the extension was built. In 2014, that number dropped to 28,400. “We have never reached the traffic counts for the original rationale of the parkway relies upon,” Rogero said. The renewed interest in the extension comes in the wake of a luncheon Schroer hosted Wednesday with officials to address regional transportation projects, their challenges and how they line up with the state’s budget. 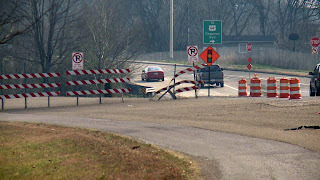 During the luncheon, Schroer questioned why the Knoxville Regional Transportation Planning Organization, or TPO, voted to remove the James White Parkway extension from its Transportation Improvement Program in August 2013. He suggested that officials reinstate it, particularly in light of the three deaths from a wreck that occurred along Chapman Highway near Simpson Road last month. The state will not spend money on a project without the TPO signing off on it. Rogero is a member of the TPO. TDOT has tentatively set an April 21 public meeting to talk about ways to improve safety and traffic flow along Chapman Highway.